Imerso is a computer-vision company in Oslo, Norway challenging the global Construction industry with intelligent Digital Twins of building-sites. We are growing fast and already work with several of the largest players in the Nordics, within Architecture, Engineering, Construction, and Energy, in their most ambitious projects. 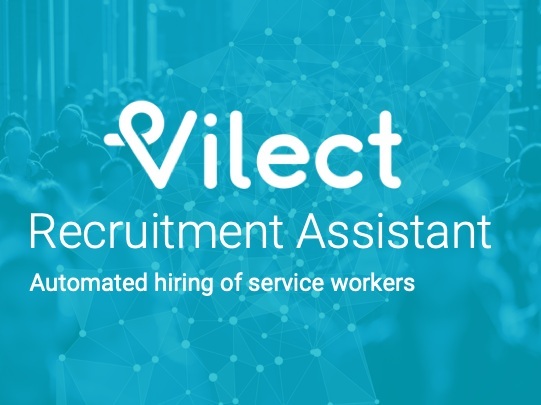 Vilect is a recruitment platform tailored for retail hirings. Retailers receive a high volume of applicants when recruiting – normally 100-500 applicants per position. Vilect automatically screens, filter and communicate with applicants. The system identifies the most relevant candidates and lets the hiring manager screen recorded video interviews integrated in our system - store managers can see their fit, personality, drive and motivation and save time and money. Vilect reduce time to hire, improves the hiring process and increase the hiring potential. Enin gives a better understanding of credit risks through new information sources and machine learning. We give our customers insight into what impacts their portfolios through automated real-time monitoring and risk analysis of news and social media for banking and finance. This helps them stay on top of developing risks affecting them and their customers. We use innovative information sources such as news and other public information to create improved analysis of their credit risks, and can keep them up to date on the most important events impacting their portfolios. This allows them to take proactive measures to mitigate their risk. Unloc has developed a solution that makes sharing a key as easy as sending a text message. With just a couple of taps you can give access to the delivery person, cleaner, or someone from the household who forgot their key. Easy, safe and efficient. Digital advertising has become complex and challenging, and companies need experts or agencies to do advertising for them. Adline simplifies the advertising process using machine learning algorithms to automatically optimize the advertising campaign and eliminate the need for experts or agencies. Designing urban site plans to meet the ever-increasing requirements of modern society is a massively complex task. With the tools and processes employed in site development today, it is becoming impossible. In a world of rapidly increasing urbanization, slow and low-quality site development is a real threat to sustainable urban growth. Spacemaker tackles this challenge head on. With the power of the cloud and artificial intelligence Spacemaker explores and draws with the speed and knowledge of one billion architects per hour. Simulation Finance is SaaS for Corporate Financial Planning and Risk Management. We want to help people and corporations make better-informed investment decisions. We do this by providing the most user-friendly financial analysis tools with unique risk and simulation capabilities that help people gain increased financial insight. The web-based models allow for online sharing and collaboration across offices.